Following an extensive testing and development programme, McLaren Automotive has now confirmed the performance figures for the McLaren P1 in the latest stage in the launch of the groundbreaking model. These figures show that the third model in the range accelerates to 100 km/h (62 mph) in 2.8 seconds, 200 km/h (124 mph) in 6.8 seconds, and 300 km/h (186 mph) in just 16.5 seconds. The McLaren P1 has been designed from the outset with one clear goal: to be the best driver’s car on road and track.  The confirmation of the performance figures underlines this, and gives further insight into the potential of the latest model from the Woking-based firm. Fitted with a twin powerplant powertrain generating 916 PS (903 bhp) from the highly efficient 3.8-litre twin turbo V8 petrol engine and the lightweight electric motor, the McLaren P1 storms from a standstill to 100 km/h (62 mph) in just 2.8 seconds, and hits 200 km/h (124 mph) in 6.8 seconds – quicker than many hot hatches reach half that speed. The relentless acceleration, delivered as a result of the instant torque offered by the electric motors and the optimised turbos, sees the McLaren P1 reach 300 km/h (186 mph) in just 16.5 seconds. By way of a benchmark, this is a full 5.5 seconds quicker than the legendary McLaren F1. Top speed is electronically limited to 350 km/h (217 mph). Despite these impressive figures, the McLaren P1 still returns 34.0 mpg (8.3 l/100km) on the EU combined cycle, with CO2 emissions of 194 g/km. The electric motor offers a range of 11 km (6.8 miles) in full electric mode on the NEDC cycle, which sees emissions drop to zero. The braking figures are equally as impressive for the McLaren P1, with the levels of performance provided by the bespoke Akebono system. The specially formulated carbon ceramic discs, coated in silicon carbide, can bring the McLaren P1 to a halt from 62 mph (100 km/h) in a distance of just 30.2 metres. This figure is even more impressive when compared to the recognised stopping distances, which suggests that more than three times the distance – 102 metres – is required to bring a car to a halt from 100 km/h (62 mph). In a year of celebration for McLaren, this week has seen another significant milestone in an important chapter of McLaren Automotive with the first customer delivery of the groundbreaking McLaren P1. Series production of the latest addition to the McLaren range commenced over the summer, and the first car, finished in a striking Volcano Yellow and contrasting visual carbon fibre, rolled off the bespoke production line at the end of September – a fitting tribute during the month of the 50th anniversary celebrations. The first example of the McLaren P1 was collected from the McLaren Technology Centre by its UK-based owner. “We designed the McLaren P1 from the outset with one clear goal: to be the best driver’s car on road and track. The confirmation of the performance figures underlines this. “I am very proud of our Woking based team and everything they have achieved with this ambitious project. The handover of the first McLaren P1 is another milestone in our 50 year history,” commented Mike Flewitt, CEO, McLaren Automotive Ltd.
A total of 375 examples of the McLaren P1 will be produced, and will be hand-built in the state-of-the-art McLaren Production Centre (MPC) in Woking, England. This £40 million Foster + Partners designed facility is an ultimate embodiment of McLaren values, fusing precise production techniques with hand craftsmanship and incredible attention to detail. 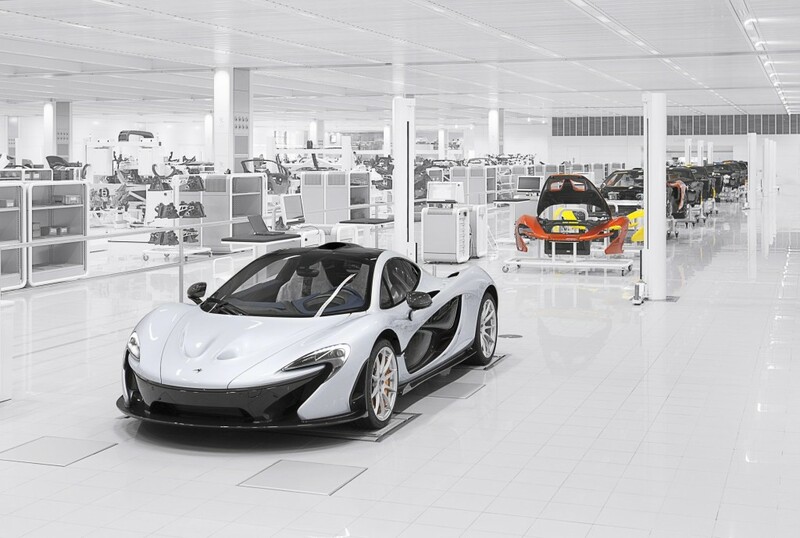 The McLaren P1 is custom-built by a carefully selected team of 82 technicians in a four-stage assembly process. From start to finish, the build takes 17 days of skilled work. Once running at full capacity, the McLaren P1 line will see one car completed each day, with production due to run until mid-2015. In total the McLaren P1 consists of seven lightweight panels, all of which are made from carbon fibre – front and rear clamshells, bonnet, doors, front and rear bumpers. Due to the extended painting processes involved, and to minimise disruption to the facility within MPC used for the 12C and 12C Spider, each McLaren P1 is prepared and hand painted in a dedicated paintshop in the McLaren Technology Centre while the chassis structure is being prepared. The complete set of body panels for each McLaren P1 is painted together to ensure a perfect colour match. This process takes three days, including surface preparation of the carbon fibre panels to ensure flawless paintwork on every single car. Two dedicated McLaren technicians work on each of the production stages for the McLaren P1, with each step taking a full working day to complete. As each car reaches the end of the McLaren P1 line, it is then subjected to the same rigorous testing regime and sophisticated quality control procedures as the 12C and 12C Spider models to ensure it meets the required quality and performance levels. This phase of production takes a total of seven days to complete. For the McLaren P1, this includes a full day shakedown at a proving ground, testing every element of the car’s performance. The McLaren test drivers and a team of technicians run through the different settings and modes to examine and verify the performance ahead of final delivery to the customer. Each example of the McLaren P1 is then put through the Monsoon Test, in which 16,000 litres of de-ionised recycled water is released on to the car to ensure all seals are correctly finished. A complete underbody check and diagnostics review is then carried out, before the final dispatch audit confirmation.